Last week I successfully released my first project! The project was a major release of SQL Doc from Red Gate which allows you to easily document your database schema. While maybe not as popular as SQL Compare, it solves a problem many people experience very effectively. With 2.0, we implemented the above features along with a series of small, yet important, changes to improve the overall experience for the user. With ASP.net, there is a database called ASPnetDB, by default this is where various settings and data is stored for the built-in ASP.net providers, such as Membership and Personalization. While most of the time you don’t need to interact with the database directly, the times you do are extremely difficult due to the lack of documentation and the fact that SQL Server Management Studio isn’t designed for gaining a high level picture of the database schema. This is one example of where SQL Doc can help. 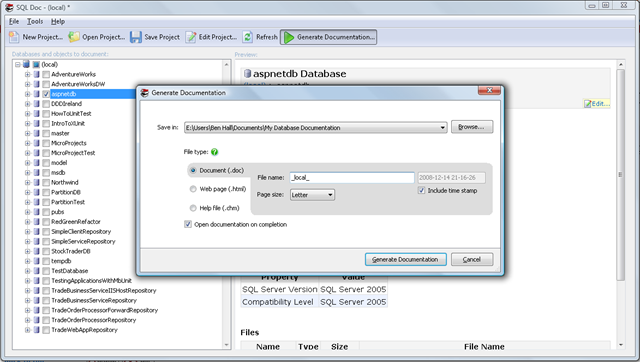 Upon connecting to your server, you can select the database(s) you wish to document. Here I’ve just selected aspnetdb. 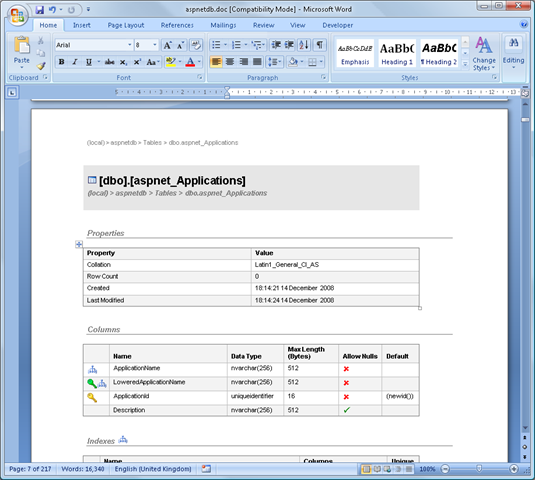 Once you have selected all your databases, click Generate Documentation… SQL Doc can output the documentation to three different formats, CHM, HTML and now Microsoft Word (.doc). 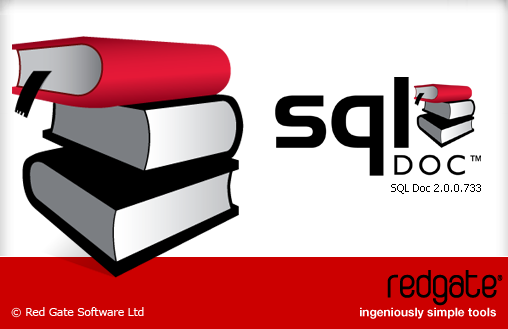 Depending on your use-case depends on the type of documentation you might require – we feel SQL Doc provides you with excellent support, however if you feel we are missing something let us know. To understand ASPNetDb, I want to print off the database schema as I always find reading this easier in paper format than online. As such, I select Document to be my output. After a few moments, Word will open and I will have my documentation produced. 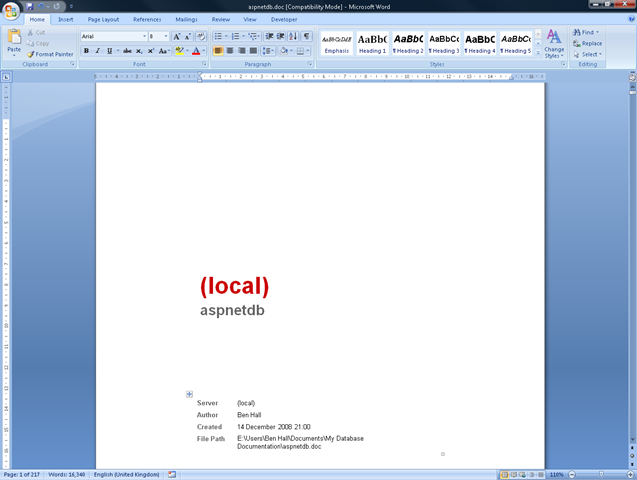 We can now navigate and read the document using word, or print it off. The documentation itself contains all the same information it would have within CHM or HTML, it’s just now in a printable format. You can download this sample document here. We also include the functionality to filter down the different objects, for example I might only want to include tables and stored procedures within the documentation. Using the treeview down the size, we can unselect the objects and categories we do not wish to be included. 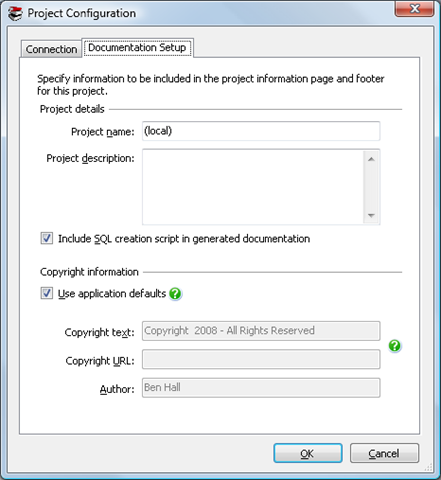 By default, we include the SQL creation script for each database object, while this is very interesting certain users requested the ability to exclude this – which we have done. 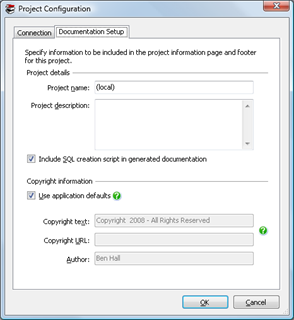 Within the Edit Project dialog there is a check box to include the SQL creation script, untick this and it will no longer be included. 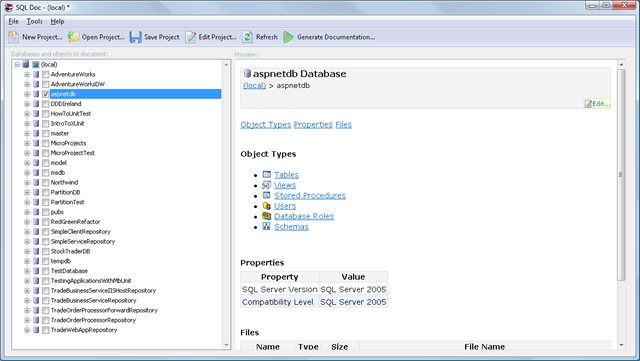 The documentation now only includes the relevant sections while shorter due to the lack of SQL Scripts. Feel free to take a look here. This looks really good. Does it print extended properties as well? Thanks. Yes we do, if you have additional extended properties on an object, for example on a view, then they will be included in a separate table on the page.